This is my current Little boy’s airplane room and they are itching for a change. They’re requesting a superhero room but we are exploring some options. Superheroes are pretty cool! 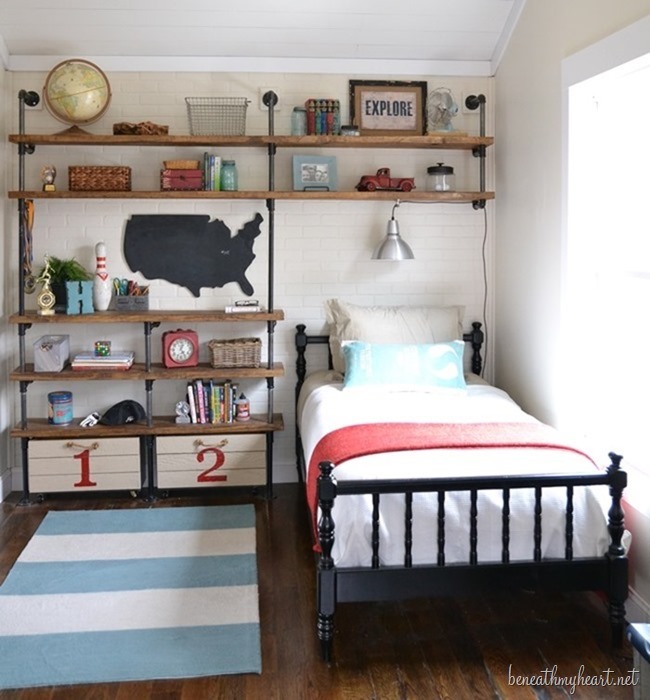 Here are some awesome boy’s rooms to get our creative juices flowing! These are all so darling! Great collection! 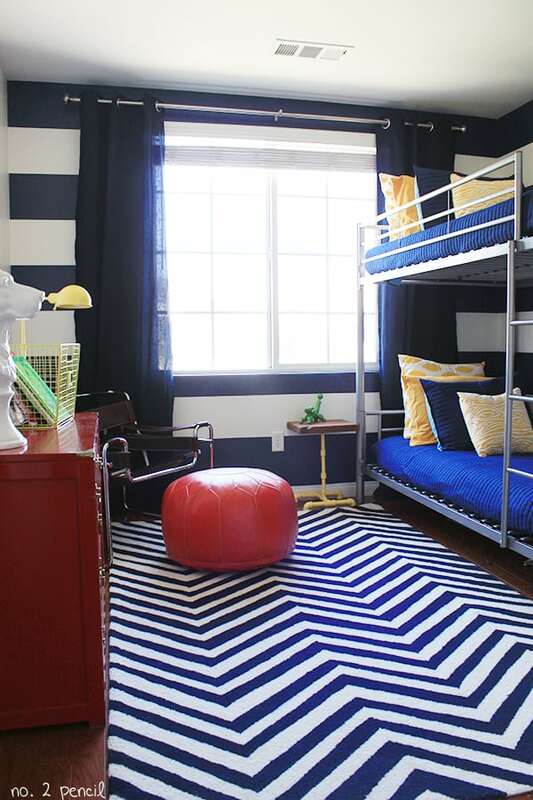 We are working on our boys room right now – I love the bright bold fun inspiration! 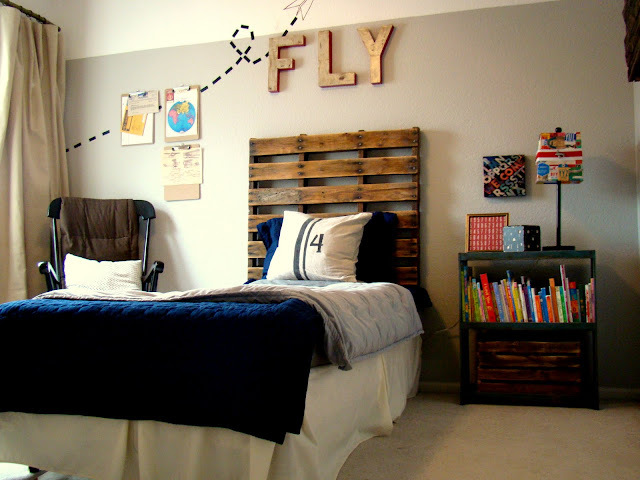 These are great inspirational ideas! Thanks for sharing! My grandson’s need a bedroom. the oldest has out grown his bed and the youngest is still in his baby bed at age 2 yrs. The oldest is 4 yrs old and love the ninji turtles. 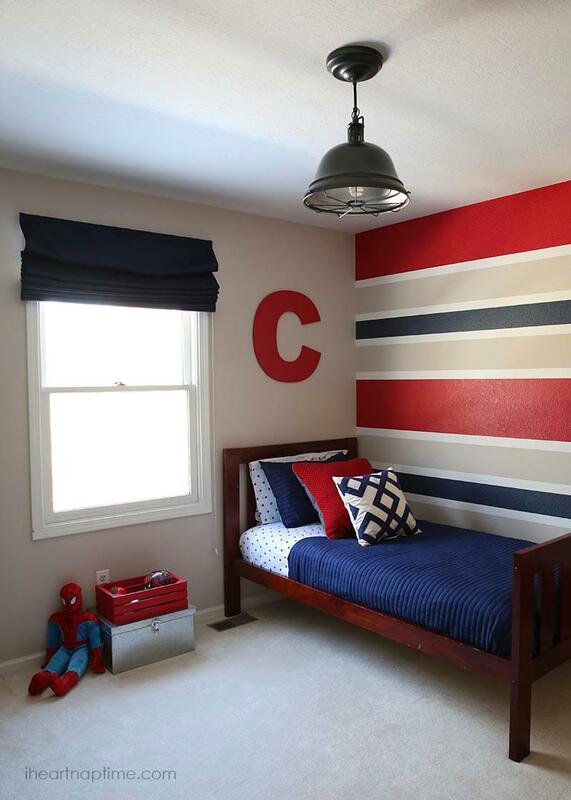 i would love to see a super hero bedroom layout for some ideas for their room. What a great collection! 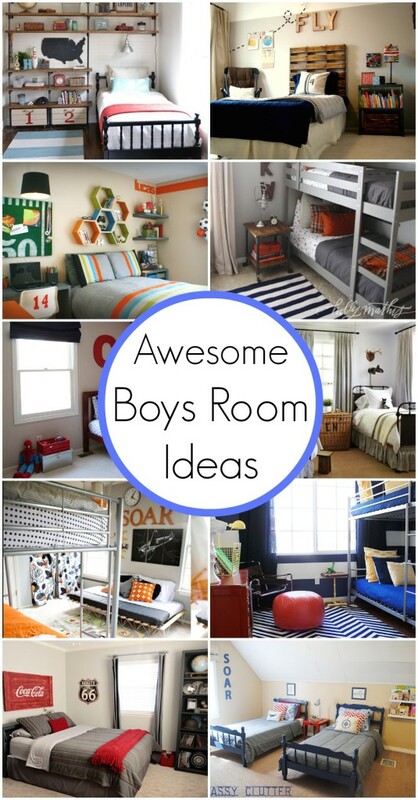 Especially as we work on moving our boys to the same room! 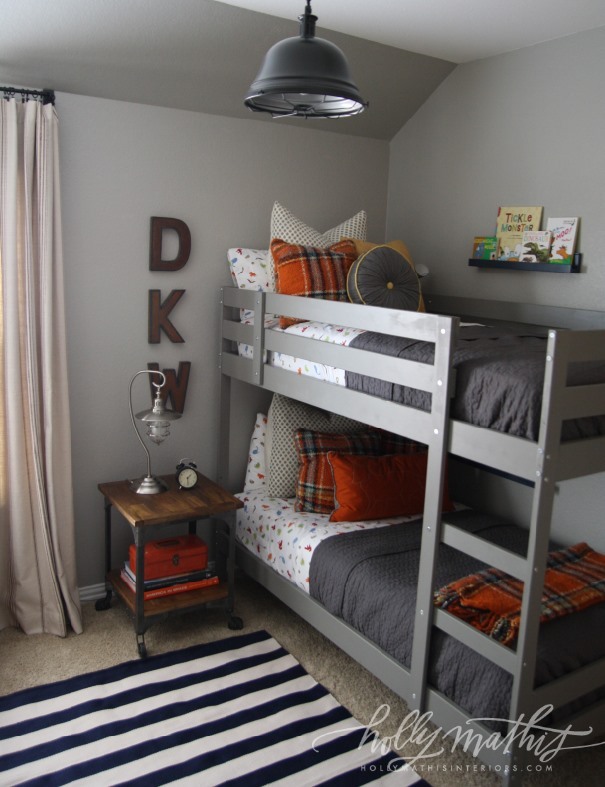 Love the grey bunk bed. 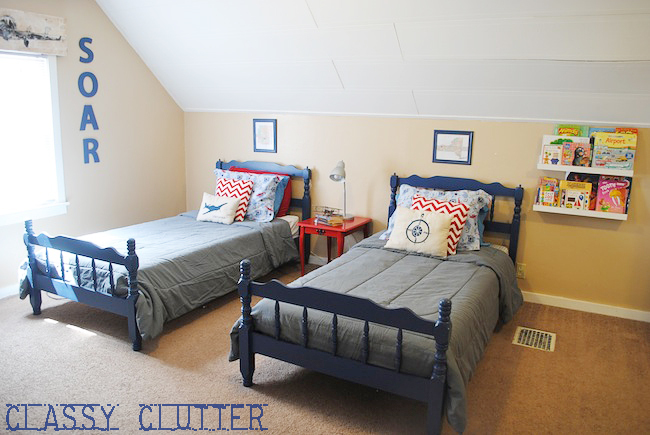 What color paint are the bunks and on the walls?? Thank you!! Love these, but where are all the toys? For those of us that dont have additional playrooms? Im really struggling with design and function. I store all the toys in a hall closet near the boys room.